LLCs Provide Liability Protection and Favorable Tax Treatment | The Levin Law Firm - Philip Levin, Esq. A limited liability company (LLC) may be the best choice of entity for your business owner clients. 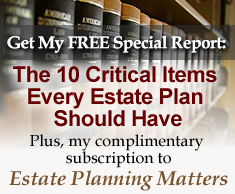 LLCs can protect your client’s personal assets and takes advantage of valuable tax benefits. The most favorable choice of business entity depends upon a number of factors, including the number of owners, the tax situation, and whether or not the business owner has employees. LLCs are often a good choice because this entity provides flexibility, low administrative costs, favorable tax treatment, and most importantly, limited liability protection to insulate your client’s personal assets. A properly structured LLC combines some of the best aspects of partnerships and corporations into one entity. For example, partnerships and sole proprietorships do not insulate business owners from personal liability. However, by statute, a member of an LLC has limited liability and no personal responsibility for the debts or liabilities of the entity or other members of the LLC. LLCs often work well for family businesses that may have exposure to potential liabilities, including real estate enterprises, and service companies. If you provide advice to clients who own or operate a business, contact The Levin Law Firm to discuss the specific benefits of an LLC, along with other forms of business ownership. We can help you and your clients select and create the proper entity which is right for their business. Formation: It is fairly easy to create an LLC. First, Articles of Organization are created and filed with the state, along with the payment of the applicable fee. Second, an Operating Agreement is established among the members. This document establishes members’ rights, the percentage of ownership each member has in the enterprise, and the share of profits. Owners can include corporations, partnerships, other LLCs, as well as trusts. The Operating Agreement should also contain specific provisions detailing the management structure and relevant financial details. Management: In nearly every state, clients can form an LLC with just one person, but there is no limit on the number of members. In theory, all members can participate in managing the company. However, smooth operation of a business depends upon centralized management to ensure good communication and the ability to reach consensus. In practice, we see many clients designate one or more owners (or even an outsider) in their Operating Agreement to take on daily management responsibilities. Limited Liability: LLC members are not personally liable for the company’s debts or obligations. However, LLC members do not enjoy complete blanket protection. More specifically, members may still be liable for debts of the business if they personally guarantee them. In addition, LLC members are also liable for their own professional malpractice if they personally injure someone, do not deposit taxes withheld from employees’ wages, or use the company to conduct personal business. Beyond that, members are liable only up to the amount of their capital contributions and the amount they agree to contribute to the firm’s capital. Business Continuity: Depending upon state law, an LLC can provide that the business terminate upon retirement, bankruptcy, resignation, death, or expulsion of a member. Upon the departure of an LLC member, all remaining members of an LLC would be required to reallocate the business interest of a departing member and distribute assets in accordance with the terms of the Operating Agreement. In order to ensure that a departing business owner, or surviving family members of a deceased LLC member, receives fair value for their interest in the LLC, the Operating Agreement should include a “buy-sell” provision, which provides clear and consistent guidelines for all LLC members in the event that a member is no longer involved in the business. Federal and State Taxes: LLCs avoid double taxation. Like an S corp or a partnership, an LLC is a “pass-through” structure for income tax purposes. LLCs file a federal tax return, but pass through all of its profits or losses, to its members, who then pay tax on their personal income tax returns. In contrast, when a business is structured as a C corporation, your client’s company pays income tax on its earnings, and then again if the company’s post-tax earnings are distributed to the business owner as dividends. Employment Taxes: LLCs, like S corps and partnerships, distribute income to their members but the income distributions are not considered wages by the IRS. Therefore, there are no employment taxes. However, a member who is active in the business and treated like a partner must pay self-employment taxes. Of course, the business owner must also pay employment taxes for any employees on the payroll. An LLC’s tax advantages, combined with insulation for the members from personal liability, along with business succession benefits, make an LLC a very attractive and cost-effective choice of entity compared to other business models. We invite you to call The Levin Law Firm to schedule a Complimentary Consultation to discuss your clients business objectives and estate planning concerns. 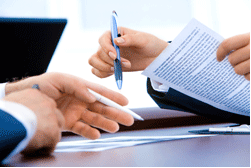 We can help your clients to create the business entity which achieves their goals and estate planning objectives.